Farewell tours are a risky enterprise – just ask the Who. They announced their retirement from the stage back in 1982. Since then, they’ve staged outings in 1989, 1996-97, 2000, and again in the summer of 2002. That’s more tours than we’ve gotten from either Paul McCartney or the Rolling Stones in the same span, two acts that never announced their retirement! Add Tina Turner to the list of those who’ve indicated the end of their touring days. When she announced her 2000 “Twenty Four Seven” trek – named after her then-current album – Tina related that this massive excursion would be her final large-scale tour. I think this allows for additional performing in the future. I don’t believe Tina ever said she’d not play any further shows; she just plans to cease any form of huge world tour. It remains to be seen if Tina will actually keep her word. Not that anyone will hold it against her if she reneges. As documented on One Last Time Live In Concert, a DVD that shows one of her final shows, Tina continues to display a terrific level of energy that makes her a marvel; if she wants to continue to rock into her AARP days, no one should resist that. Filmed during a 2000 concert at London’s Wembley Stadium, One Last Time includes an entire Tina show from the era. As befits this kind of occasion, Tina plays tunes from throughout her career. From Twenty Four Seven, we find four tracks: the title tune as well as “Absolutely Nothing’s Changed”, “When the Heartache Is Over”, and “Whatever You Need”. We also get a mix of numbers from her solo years. Not surprisingly, 1984’s comeback smash Private Dancer provides the most material, as it gives us five songs: “Private Dancer”, “What’s Love Go to Do With It”, “Let’s Stay Together”, “Better Be Good to Me” and “Help!” We also discover “We Don’t Need Another Hero” from the 1985 Mad Max Beyond Thunderdome soundtrack plus “The Best” off of 1989’s Foreign Affair. Tina sprays the set with a roster of oldies, both her own and others. From the Ike and Tina archives, we hear 1960’s “A Fool In Love”, 1966’s “River Deep, Mountain High”, and 1973’s “Nutbush City Limits”. In addition, we find covers of “I Want to Take You Higher” (released by Ike and Tina in 1970), “Proud Mary” (1971), and “Acid Queen” (from the soundtrack of 1975’s Tommy) as well as some numbers that I couldn’t figure out if Tina ever formally recorded in the studio or not: Otis Redding’s “Try a Little Tenderness” and “(Sittin’ On) The Dock of the Bay”, Marvin Gaye’s “I Heard It Through the Grapevine”, and Robert Palmer’s “Addicted to Live”. Lastly, we also get Prince’s “Baby I’m a Star”, but it’s covered by back-up singers Lisa Fisher and Stacey Campbell while Tina changes outfits. For the most part, I felt the set included a nice variety of material. The appearance of the Twenty Four Seven kept the show from becoming nothing more than a total oldies act, but she clearly knew what the audience wanted and she gave it to them. Since a lot of her more recent work has been pretty dull, that’s a good thing. I respect artists who attempt to keep their shows lively, but the songs need to support their appearance. The tour documented on Live In Amsterdam – Wildest Dreams Tour didn’t live up to that part of the equation, and the show suffered accordingly when Tina did the new stuff. None of the Twenty Four Seven songs seemed tremendously memorable, but they came across more strongly than the Wildest Dreams efforts did. At least on this tour, Tina had the good sense to go out on top. Whereas Amsterdam ended on a somnambulant note, “Twenty Four Seven” closed this concert with a bang that better suited Tina’s fiery personality. Otherwise, the format of the concert resembled Amsterdam, though it didn’t simply duplicate it. As with the earlier show, Tina relied a lot on her backup dancers; they provided a lot of the on-stage action. I’m still not wild about that concept – I didn’t pay to watch these no-name chicks – but I can understand if Tina needed some young blood to give her the occasional breather. At least these performers seemed more talented and less intrusive. From what I could tell, Tina used a largely different band for this tour. Amsterdam included a lot of folks who’d been with her for years, such as muscle-bound multi-instrumentalist Timmy Capello. Beefcake’s nowhere to be seen here, and I didn’t miss him or the others. Tina never really interacted all that much with the guys, and while this new band seemed somewhat generic, they offered a bit more energy, perhaps because they weren’t as tired of the same old tunes. I still felt that Tina should have gotten a rougher, less polished band who could push her more. Paul McCartney did that for his 2002 tour, and the results were quite good. Tina tended to fall back on excessively smooth pros who possessed little spark. Yeah, these folks topped the old ones, but it’s still only a small improvement. As for Tina herself, it seemed clear that she decided to quit out of desire, not necessity. She remained in excellent voice and displayed a highly active presence. Remarkably, I actually thought Tina appeared perkier here than in Amsterdam four years earlier. She put on a solid performance that nicely represented her skills. For the video presentation of the concert, we found a good but unexceptional staging. 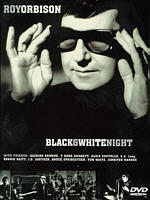 Don’t expect The Last Waltz, as no one will ever confuse David Mallet’s direction for a masterpiece. Instead, he offered acceptable but workmanlike representation of the material. Happily, the video offered a better balance of elements than did Amsterdam; also directed by Mallet, the latter concentrated too highly on the dancers and Capello and appeared bland. One Last Time did nothing inventive or original, but it captured the essence of the performance to a reasonably positive degree. Tina Turner isn’t one of my favorite singers, and One Last Time isn’t one of my favorite concert videos. However, I felt pleased with the package. 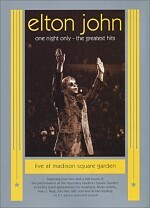 The DVD shows Tina in both good voice and spirits and it adequately replicated her live performance. 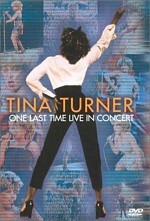 Tina Turner: One Last Time Live In Concert appears in an aspect ratio of approximately 1.77:1 on this single-sided, dual-layered DVD; the image has been enhanced for 16X9 televisions. While the program displayed a few concerns, as a whole I thought it offered a pretty solid picture. Sharpness consistently seemed positive. A few wider shots came across as slightly soft, but those instances seemed minor. Overall, the image remained crisp and well defined. Jagged edges and moiré effects caused no significant problems, and I saw no signs of edge enhancement. One infrequently used overhead camera showed some jaggies, but it only popped up a few times, so it wasn’t a major issue. Source flaws seemed absent. I saw no video noise of digital artifacts, and the material remained nicely clean and clear throughout the concert. Colors looked good but unexceptional. Time featured odd staging in that it began during the daylight and slowly transitioned into nighttime. Most shows start in darkness, so this setting created some lighting challenges. Colors seemed slightly pale at times, and at first I thought this resulted from the daylight issues. However, they continued to seem that way even after the sun went down, so that clearly didn’t explain things. On a few occasions, hues seemed moderately thick and heavy; for example, “I Heard It Through the Grapevine” used reddish lighting that appeared a bit too impenetrable. Nonetheless, most hues seemed reasonably accurate and distinct; my complaints remained modest. Contrast looked a little off at times, as parts of the show were somewhat too bright. This issue really did seem mostly related to the daytime factor; once it became dark, I saw less of those concerns. Black levels appeared acceptably deep and rich, and shadow detail was fine for the most part. Except for the mildly excessive brightness, those elements of the image were fairly well balanced. Ultimately, One Last Time presented a good picture; it definitely could have been better, but it seemed satisfying. I felt the same way about the DVD’s soundtracks. Here’s where things become confusing. According to the case, One Last Time includes both 5.1 soundtracks, but the disc’s menu states otherwise. Instead, we find Dolby Digital 4.1 and DTS 4.1 mixes. These tracks omit the center channel; they feature stereo sound from the front and rear speakers but no discrete audio from the middle. Oddly, my receiver stated that the DTS mix was 5.1, but I put my head up against the center speaker and heard nothing from it, so the track appeared to truly be a 4.1 affair. Frankly, I wouldn’t have noticed the absence of the center channel had I not inspected it so closely. The mix created a strong phantom middle that certainly made it seem as though the center was active. As one expects from a concert presentation, the track favored the forward spectrum. From that area I heard very good stereo separation and presence. As noted, the audio offered the sense of sound from the center; Tina’s vocals seemed appropriately located right down the middle. The instrumentation spread broadly and logically across the front and created a fine image that made sense for the material. The various instruments appeared to pop up from the correct positions and they meshed together well. In regard to surround usage, it seemed minor. For the most part, the rear speakers offered little more than general reinforcement of the music. Oddly, most crowd noise emanated from the front channels. It would seem more logical for those elements to come from the surrounds, and at times, they did. However, usually they poured from the forward area, which wasn’t necessarily a negative, but it was weird. Audio quality sounded fairly solid. Vocals appeared natural and distinct. They featured a little “stadium reverb” to give us the correct sense of place, but the mixers didn’t go nuts with this element, so Tina’s voice remained crisp and warm. A few times when she Tina shouted at the crowd, her declarations sounded distorted, but that problem didn’t affect her singing. All instruments seemed clear and bright, and they showed good fidelity. At times they got a little buried in the mix – especially since we heard that illogical crowd noise in the front – but usually the instruments came through effectively. My only complaint related to bass response. The track almost never utilized the LFE channel. Only some pyro effects brought it briefly to life; no musical elements came from the subwoofer. The mix still displayed decent low-end most of the time, but I felt it lacked the appropriate depth and oomph. Overall, the track remained quite good, and I had no major complaints with it, but it fell short of greatness. Other than a booklet with some extremely short notes about the production, One Last Time features only one extra, a program called Backstage With Tina. This 17-minute and 45-second program lacks much depth. It shows snippets of the show, a little behind the scenes material and shots of fans, and interview snippets with Tina. She discusses her career and her final tour, but she reveals very little that seems interesting or compelling. Overall, the piece offers a couple of decent moments but fails to deliver any substance. Strangely, you won’t find some very basic DVD features on One Last Time. The disc lacks any time coding, and it also doesn’t list chapter numbers. However, the DVD is chapter encoded, so you can skip from tune to tune; there’s just nothing in the display to help you figure out where you are. I’ve seen hundreds of DVDs, but I can’t recall another without these basic options. Despite those oddities, Tina Turner One Last Time Live In Concert offers a pretty solid affair. The concert itself shows Tina in good voice and spirits during her farewell tour, and the video replicates the performance in a bland but acceptable manner. The DVD features good but unexceptional picture and sound but lacks substantial extras. Nonetheless, One Last Time provides probably the best representation of Tina Turner’s live act currently available on DVD, and her fans should definitely give it a look.